There is no shortage of songs, movies and television shows depicting the difficulties of breakups with a romantic partner. But when it comes to navigating the end of friendships, it can feel like we’re on our own. We learn how to make friends, how to share and how to cope with bullies when we’re young, says Miriam Kirmayer, a clinical therapist who specializes in young adult and adult friendships. Those kinds of conversations stop in adolescence, despite the fact that, as a 2017 study published in Personal Relationships noted, friendships become increasingly important as we age. 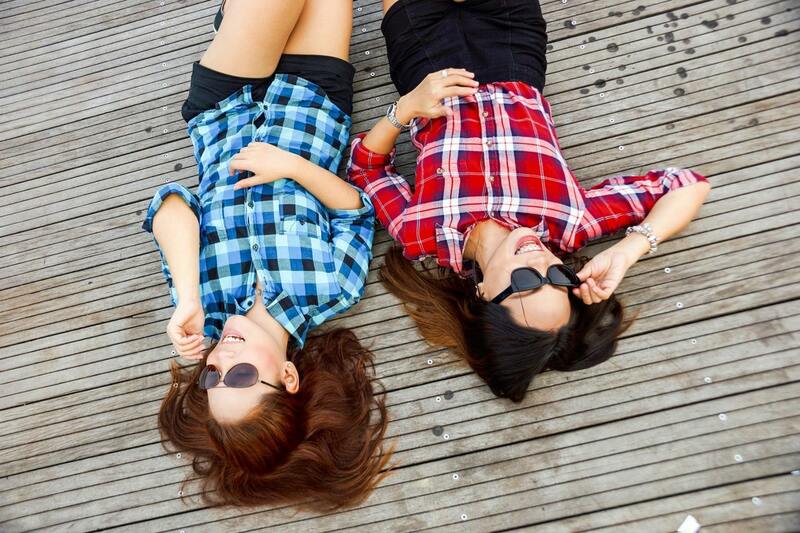 Friendships can be an even stronger predictor of well-being than familial relationships as we get older, the study showed. Here’s why friendship breakups can feel worse than breakups with significant others. “We tend to think about breakups in friendships as happening because of some kind of big betrayal,” Kirmayer says. In those situations, it’s easy to pinpoint the reason the friendship ended, and communicate it to the other person. But more often than not, she says, friendship breakups are the result of people gradually growing apart, which means there isn’t a standard conversation that ensues. The relationship may need to come to end because of factors outside of the friendship — like distance or differences in lifestyle — or because one or both friends have strained the bond by mistreating the other. Since friendship breakups aren’t discussed nearly as often as romantic ones, Kirmayer says that people in friendship breakups can feel like they’re the only ones struggling to make their friendships work. Rather than seeking support and advice from other friends, people are more likely to keep it to themselves. This can make them feel even more isolated, she says. There’s a key difference between friendships and romantic relationships that can make friendship breakups worse, says Marni Feuerman, a psychotherapist in Florida. “The expectations are different in a romantic relationship,” she says. “People declare themselves ‘a couple,’ or the relationship is very defined: we’re dating, we’re engaged, we’re married.” There may even be a legal document or ceremony that spells out what the relationship means. Conversely, that’s not the case in friendships. Because it is harder to define expectations in platonic relationships, friends are more likely to be on two different pages, which in turn can contribute to a separation—and make it more difficult to process post-breakup. After the end of a romantic relationship, it’s standard for exes to discuss the parameters of their breakup. They usually decide if they’ll remain friends, completely cut ties or respectfully smile and talk if they see each other in social situations, according to Feuerman. That type of conversation is a lot less likely to occur after a friendship breakup. “There’s a lot of confusion about what a friendship breakup means,” she says. “Are you still planning to communicate in certain contexts? Are you open to seeing each other in a group setting if you have mutual friends?” When these questions are left unanswered, what may follow are awkward encounters at best, and at worst, unnecessary pain for a friend experiencing radio silence with no explanation, according to Feuerman. We’ve come to expect prolonged heartbreak after romantic relationships end, and often brace for the inevitable pain of parting ways. But since friendship breakups are less spoken about and at times, more unexpected, we aren’t always prepared for the despair that follows, according to Feuerman. This unforeseen trauma can make the pain all the more palpable. After a friendship breakup, it’s common to feel anger, sadness, loneliness and anxiety about seeing the person and fearful of mutual friends picking sides, Kirmayer says. Understanding that all of these feelings are normal will help you start moving forward. For complete article, visit Time.